Back with another skincare review, to the world everyone seems to see Japan as the land of "mochi skin" girls but actually in reality not everyone here has flawless skin lol. It's definitely not just genetics that determines the skin condition a 100% as there are other factors like environment (exposure to pollutants), diet and skincare compatibility. Over the years of reviewing beauty products i've learned so many things about it, most important thing to look out before purchasing any skincare product is its ingredients. It can be of any reputable brand but some ingredients are just not suitable to be used on the long run or not meant to be in there in the first place. 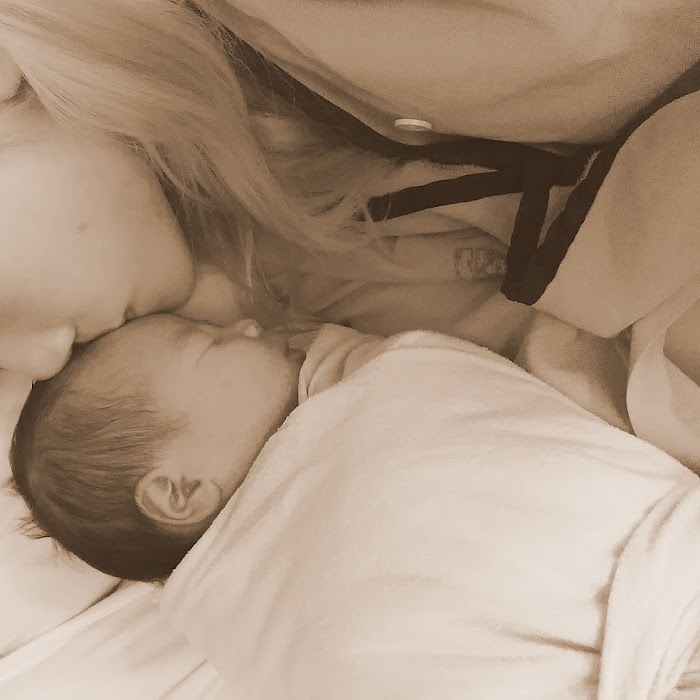 Those who have read all my past skincare reviews would know how particular i am in this area because first of all i have very sensitive skin even before my pregnancy and now that i'm a mother of a newborn baby, i can't risk exposing my baby to all those harmful chemicals i put on my face daily so it's very important for me to find a natural yet effective skincare alternative. genre style that defines Japan's historical and modern artworks this this very day, it started becoming famous during the 17th and 19th century and can be found almost everywhere in Japan! Recently a friend of mine introduced this premium quality brand called Hinatahina which uses "BiProGE" (short for patented lactic acid bacteria) as one of their main ingredients for their facial soap bars. According to Hinatahina's researchers this discovery was accidental as one of them suffered from severe dry skin problems and over the research course she noticed there is an improvement in here condition, restoring her skin back to its former glory. Something that wouldn't have been possible without Japan's innovative and advanced biotechnology resources. Hinatahina's packaging are created to represent Japan's deep cultural roots, this packaging takes the form of "Hexagon" which represents a turtle shell and during ancient times this animal is considered auspicious, a symbol of longevity! 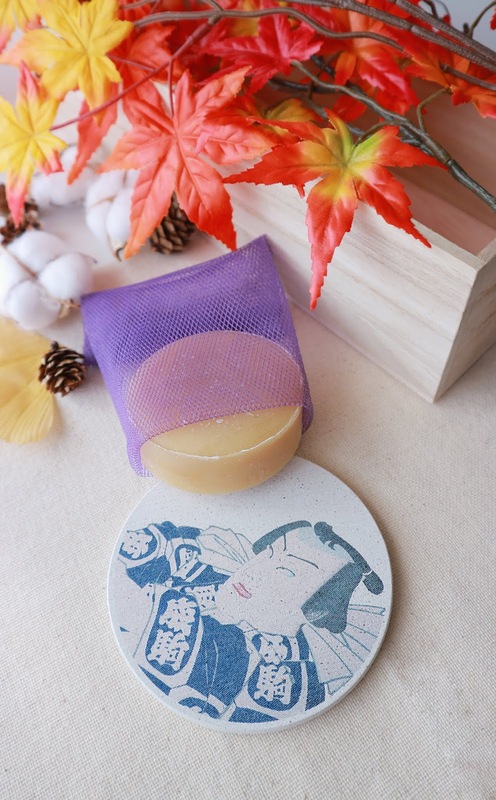 This particular set comes with 2 ceramic plates, one can be used as the soaps's holder and the other can be kept as a collectible souvenir or used as a coaster for drinks! Think this soap would make a great souvenir to bring back home. 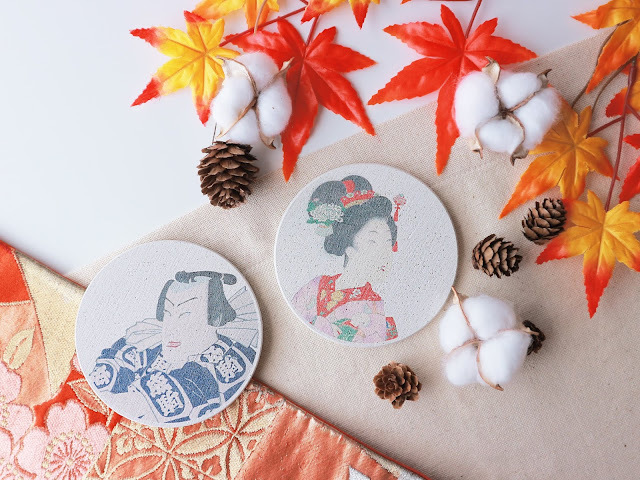 a historical and traditional color during the Heian period. For those not familiar with the term "BiProGE", the lactic acid used in Hinatahina is extracted from plants and yeast that has been cultured in rice bran (Japan is famously know for using rice bran in their skincare products). Aside from that it contains olive oil, rich in oleic acid which resembles close to the human's skin so it doesn't strip the user's skin of it's natural moisture barrier. Honey is a natural beauty ingredient dating back centuries ago, it's a natural moisturizing ingredient and contains various kinds of vitamins essential for a beautiful skin. When it comes to bars of soap, it's more commonly used for body and not the face and i know many people who don't really care much for their skin would use the same bar for their face as well (especially guys) which is a big NO-NO because of the pH levels on our face is more lower compared to the rest of our body (you guys can easily google this information). Using these body soap on your face may cause your skin to dry out faster, making it a potential breeding ground for acne, pimples and other dry skin problems. Yes it might feel "super clean" after washing with the bar soap but there is a valid and scientific reason why face and body washes are marketed as separated products. So don't use body bar soap for your face! 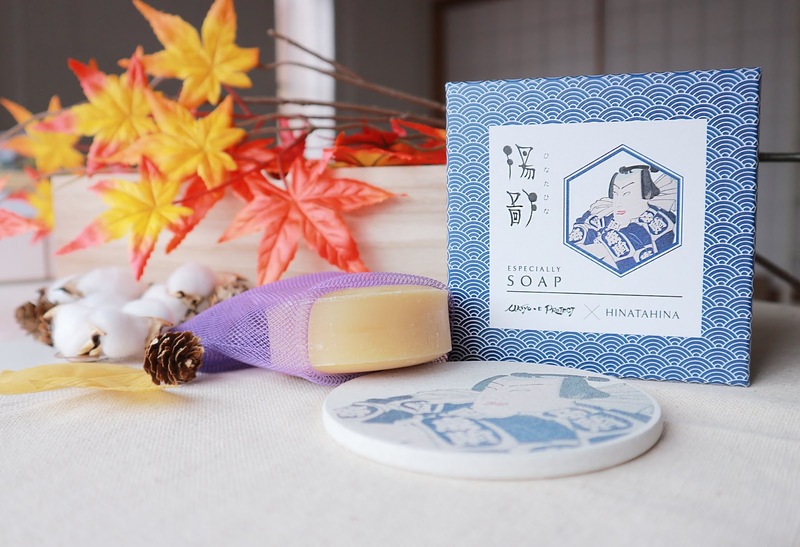 However you can use Hinatahina's facial bar soap for your face lol, yes it's "solid bar"design first intimidated me because it reminds me of the body bar soap and was worried it might dry out my face further since my skin is sensitive/ dry type. But all that was just an assumption, the soap works really well on my skin and it comes with a net which is used for lathering up enough foam to cleanse your face with. The best part about this soap is that i can use it to remove my make up at one go! So tedious, that's why i rather invest in these kind of cleansers, it's really worth having around on your tired days. 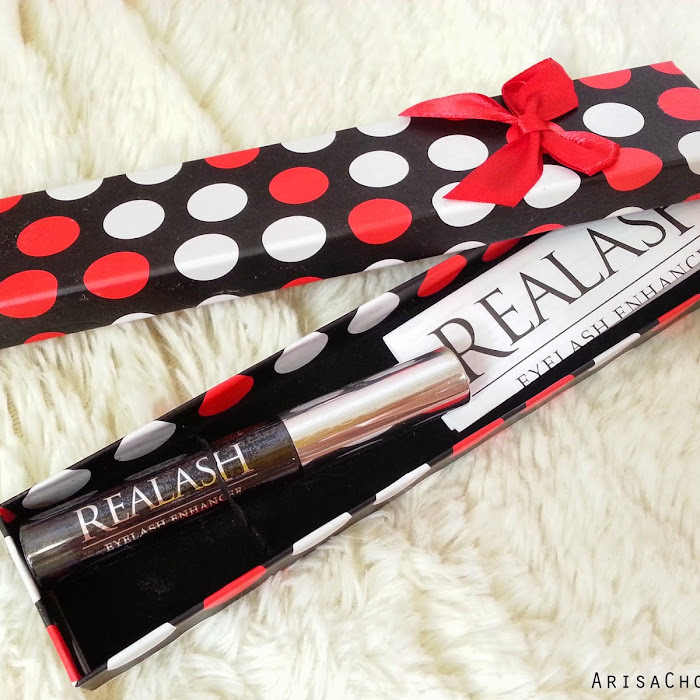 It removes light make up, water based mascara effortlessly! 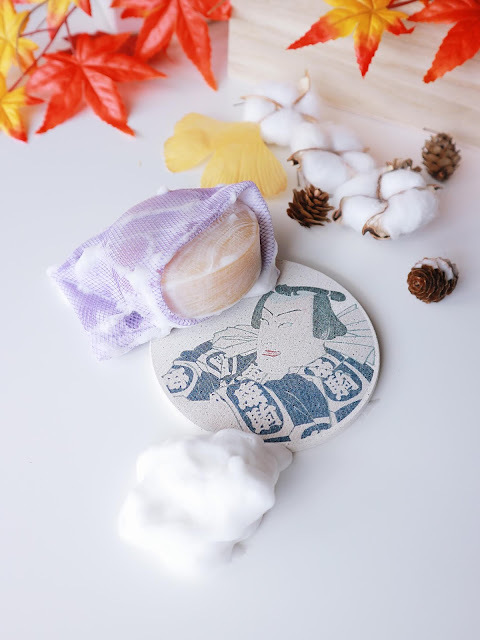 For heavier make up days, i'll first wipe it off with make up remover first and use the Hinatahina bar soap to do a double cleansing, this way i know my skin is free of any make up residues. Works well keeping my entire body feeling moisturized and itch free (having PUPP isn't fun), anyway it's also recommended for pregnant mothers to use mild unscented soaps during bath to cope with the itching symptoms, so i'm glad my Hinatahina soap has more than a single function now lol. 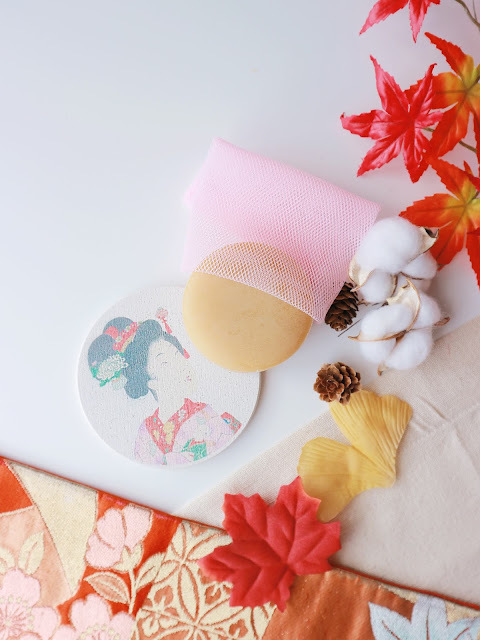 I also use it to clean my make up sponge daily after using it, and sometimes my make up brushes too and i don't need to get any fancy scrubbing pads because the soap's netting works just fine removing make up residues on my brushes and sponge lol. Though it comes with an instruction manual, using it is pretty straight forward actually. 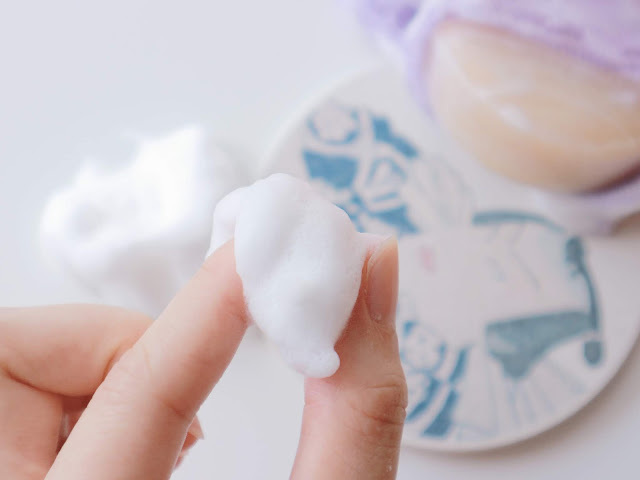 Put the soap into the net, rinse once and start lathering between your palms to create dense foam, it will feel like marshmallows between your fingers, but it's not edible so make sure to put it away from children! The smaller amount of water used, better and denser bubbles are created. 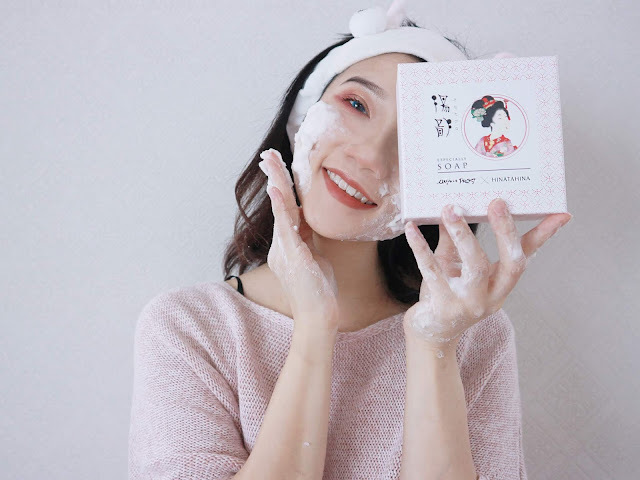 From there transfer the foam unto your face and massage/ leave it on for 30 secs to 1 minute (like a mask) before cleansing your face in circular motion to remove any impurities and lastly rinsing it off with cold or lukewarm water. 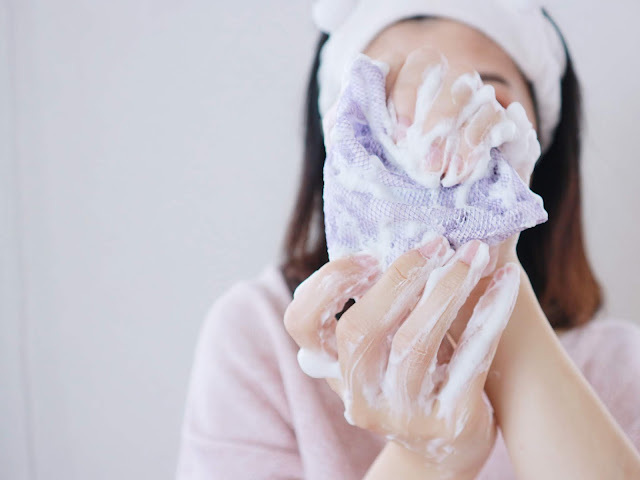 Do not scrub very hard as it might hurt your delicate face skin, even when wiping with a towel make sure it's done in a dabbing/ patting motion not rubbing! When i see people rub their face harshly with a towel it makes me scream inside on their skin's behalf, must be really painful! You might not be able to see your skin shedding with every single rub but underneath the microscope there are probably billions or zillions of skin cells being shredded by force. The foam is so dense that it held it's shape for more than 5 minutes, long enough for me to take decent shots of it lol. Normal foam bubbles would usually collapse within 60 seconds or lesser! Hope you guys found this product introduction and review useful! 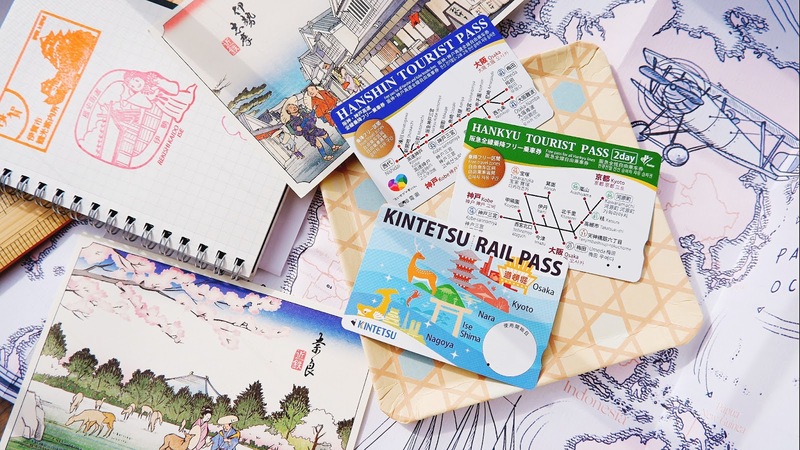 It might be slightly costly compared to your average skincare products price range, but if you are looking for a unique and meaningful gift for a friend who's crazy about Japan, this brand would make an ideal gift. You can purchase it from their website (for Japan) and in Malaysia at ISETAN The Japan Store, KL (previously known as LOT10).